We are proud to be partners with Snap! finance. 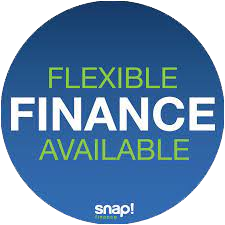 A finance provider with over 30 years experience across the USA and now in the UK. Spread the cost of New Carpet & Flooring, with a wide range available, but be quick, we are expecting to be very busy! Representative Example: Fee £25, Amount of Credit/Cost of Goods £500, Annual Interest Rate 98.55%, Weekly Payment £15.19, Term 52 weeks, Total Payable £814.88, Representative APR 191.3%.